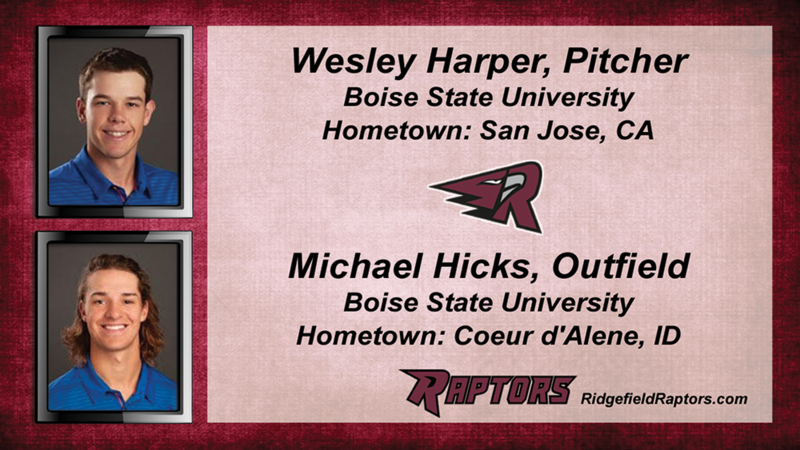 “We are excited for the Ridgefield Raptors, the newest member of the West Coast League and the opportunity to have Boise State represented on their roster with Micheal Hicks and Wesley Harper,” stated Gary Van Tol, head baseball coach at Boise State. “Hicks brings a physical presence with experience and a National Championship under his belt. Drafted by the New York Yankees out of high school, Hicks was a member of the 2016 NJCAA National Champions at Yavapai College. 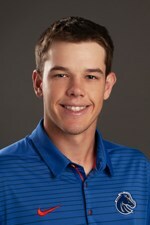 Hicks will be one of our senior leaders at Boise State. He plays the corner outfield and hits in the middle of the order. He has game changing power at the plate. Harper graduated from Bellermine Prep out of San Jose as their number one starter on the mound. 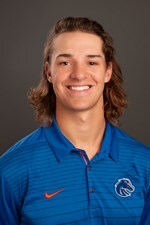 The redshirt freshman at Boise State is a mid 80’s strike thrower, with a three pitch mix. He can start or come out of the pen. Both these guys are tremendous workers and great teammates. They are fired up to be part of the Raptors first season and ready to help them win their first WCL championship,” added Van Tol.